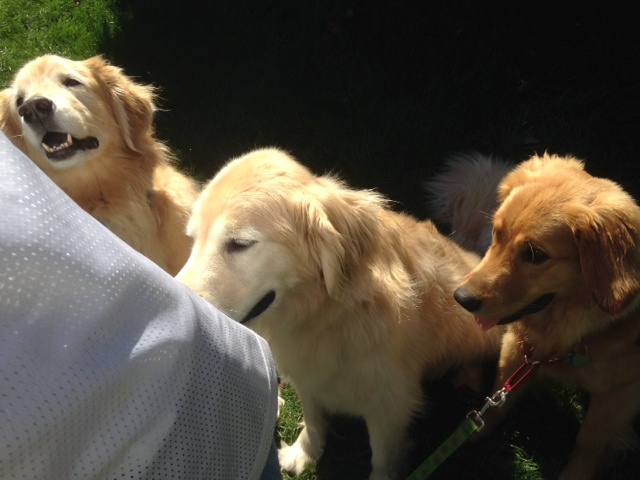 We went to Gran’s house for a weekend where we played with Emily and Spenser and Bailey, my brother’s golden. Those weekends always tire us out and my parents house is the best “dog park” there is. We actually went to dog parks here. 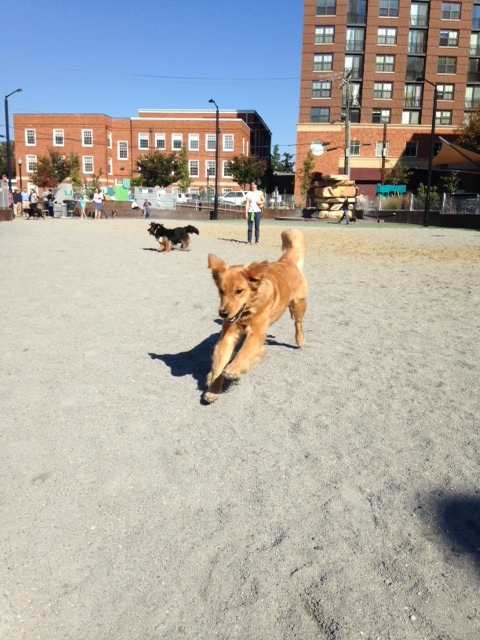 I am a little leery of dog parks but I know it’s good for Tucker to run around and play with other dogs. While I haven’t mastered going to the dog park by myself with him, and my husband always has to go with us, I’ve stopped being such a helicopter mom and let my dog play. 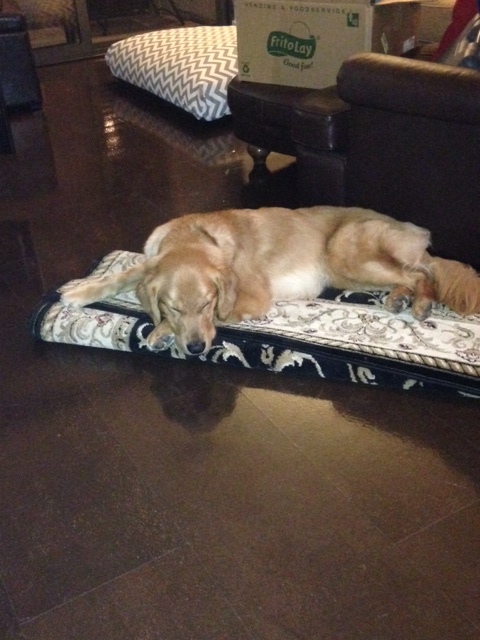 We have continued our CGC class and he’s doing great. I’ve seen real progress and will be sad when it ends this week. We moved into a bigger apartment within our complex. He’s still adjusting but thus far I think he likes it. And the biggest: Friday is not only Halloween but Tucker’s 1st birthday. We are pretty excited and I do promise a blog entry will be coming celebrating our boy turning 1 this weekend. Until then, puppy hugs and kisses. Tucker with Uncle Spenser and Uncle Bailey. Teaching him everything they know! 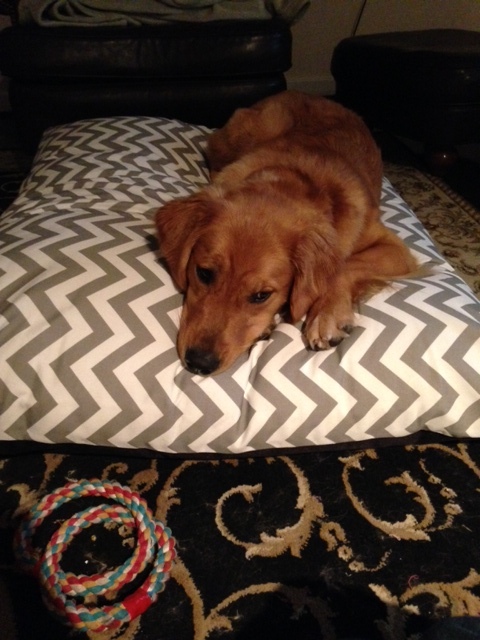 Tucker and his new dog bed. Moving is ruff. Think I will just sleep here. Such a cutie! My golden just turned one also. Such a fun but highly energetic dog!